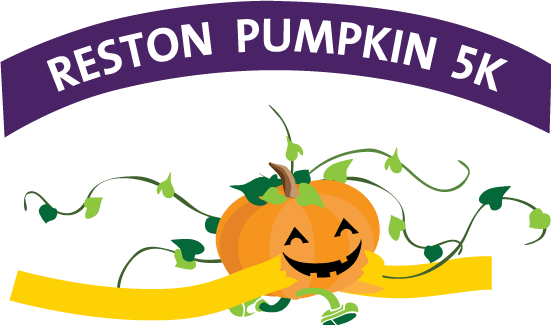 Get off the couch and get ready for the Greater Reston Chamber of Commerce’s Reston Pumpkin 5K, & Kids’ Pumpkin Dash at Oktoberfest Reston, Sunday, October 9 with an 8:15 AM start. Participants are encouraged to début their Halloween costumes or dress is their Oktoberfest Lederhosen and join in the fun with the whole family! Oktoberfest Reston is produced by the Greater Reston Chamber of Commerce and a fun ONE day event featuring Oktoberfest themed entertainment throughout the day with traditional authentic Oktoberfest music and dancing, fall beers, and family activities. Held at the beautiful Reston Town Center the event will also featuring food vendors, some serving traditional Oktoberfest fare from area restaurants. Enjoy food, wine, beer, kids area and live entertainment. Oktoberfest Reston will take place on Saturday, October 8, 2016 at the Reston Town Center. FREE to attend, however food/beer/wine tickets cost: 24 tickets for $20 Food is priced from 3 – 5 tickets. Beer and wine cost 6 – 7 tickets. Runner Swag: All 5k runners will receive a technical race t-shirt (guaranteed to those registered by Sept. 23), race bib, post-race refreshments, and race course experience. Runner's Bib: The timed 5K will use state-of-the-art Chrono B-tags. Your B-tag will be affixed to your bib number. Bib numbers and timing tags are not transferable, no entry refunds will be made, and for safety reasons, no strollers or pets are allowed on the course. The Start Line: The start line is located at the intersection of Fountain Drive and New Dominion Parkway. Please be in the starting area no later than 8:00 AM and seed yourself based on your anticipated speed – timed runners to the front, followed by non-timed and walkers based on speed. Finish Line: The 5k finish line will end adjacent to the Reston Town Center fountain and pavilion. Medical: If you begin to feel ill while on the course – STOP – and look for your closest course marshal. Restrooms: Portable restrooms will be located adjacent to the start line. Additional toilets available at the information center located behind the Reston Town Center Pavilion. Parking: The Reston Town Center provides ample parking, with over 7,000 spaces, which are available in six garages and one surface lot.